In today’s market it is very rare to complete on a sale of your business without some minor drawbacks throughout the process. Some are more prevalent than others, and generally, most can be ironed out when you are armed with the right structure and the right advice. Some drawbacks, however, are more difficult to handle than others. We’ve talked before about the importance of selecting the correct solicitor for a business sale. We’ve touched upon the problems that can arise if you don’t take the right steps in handling your lease prior to selling, and we’ve revealed the dangers of not forward planning. But one issue we were not expecting to face was that of the dreaded Japanese knotweed. 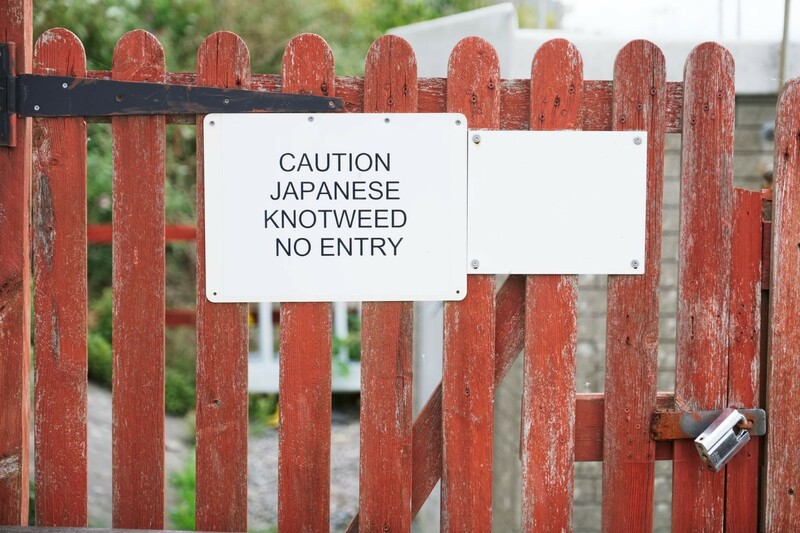 The vendor of the practice in question was aware of the knotweed issue at the property prior to the sale, but the implications of this were far beyond what was ever expected. Japanese Knotweed is a highly invasive, rapidly spreading weed. It’s roots burrow deep underground and it is incredibly difficult to eradicate. Due to its stubborn nature, it can have devastating effects on the walls and foundations of buildings, and can also be incredibly expensive to have professionally removed from your property. In this case, as the business and the freehold were being sold, the knotweed issue at the property caused extensive delays, and almost cost the sale. Then first step to tackling the issue was to instruct a survey of the property. It was reported to the purchaser that, due to the knotweed problem, the premises were not insurable or viable for a mortgage. This also caused problems with the valuation of the property, as selling the building without clearing the knotweed had a big impact on its value. The purchaser in this instance was a cash buyer, which was positive considering there may have been implications with appeasing funders had he required a bank loan. After some further negotiations, the vendor agreed to proceed with a knotweed treatment and appointed a specialist to clear this, and the purchaser agreed to forego any warranties in relation to the knotweed in order to push the sale through. Along with a multitude of other factors which jeopardised the successful completion of the sale, such as delays with the contract, issues with the equipment and the apportionment and changes to the sale mechanism, a successful outcome was eventually reached. "I believe that had the vendor and buyer been dealing directly, their frustrations would have come into play and probably resulted in a breakdown of the relationship and the sale," stated Myers La Roche's David Hubble, who managed the sale. "I was able to act as a sounding board and communicate the concerns of both parties in a clear and calm manner, advising accordingly." Some complications are difficult to avoid entirely, even with the most comprehensive exit planning, but it’s important to ensure that you are managing a sale correctly with the right advisors at hand to assist you. You should always feel as though you are in control in the face of any challenges you are met with. To discuss future-proofing your assets, or simply for an initial conversation as to how we could assist you in the future, contact a member of the Myers La Roche team today.